IFEN has announced the opening of its U.S. subsidiary, IFEN Inc., to address the American market for GNSS test equipment. Dr. Günter Heinrichs, head of customer applications and business development, said that the subsidiary operations, located in California, will greatly facilitate order placement, delivery, and support for U.S. customers. 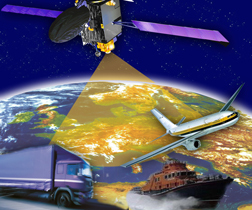 IFEN offers a range of simulators capable of reproducing all signals and frequencies of all GNSS constellations as well as a multi-GNSS software receiver.